Herbet, IV, 1900, 302 (1969, 152), V (Grands Cartouches, Second Set), 5. COLLECTIONS: Florence, 12766 st. in vol. (22.7 x 15.8 S). New York, 62.525, nos. 53 and 53 bis. LITERATURE: Kusenberg, 1931, 166, as related to an etching by Fantuzzi in the style of Rosso and perhaps after a lost decoration at Fontainebleau. 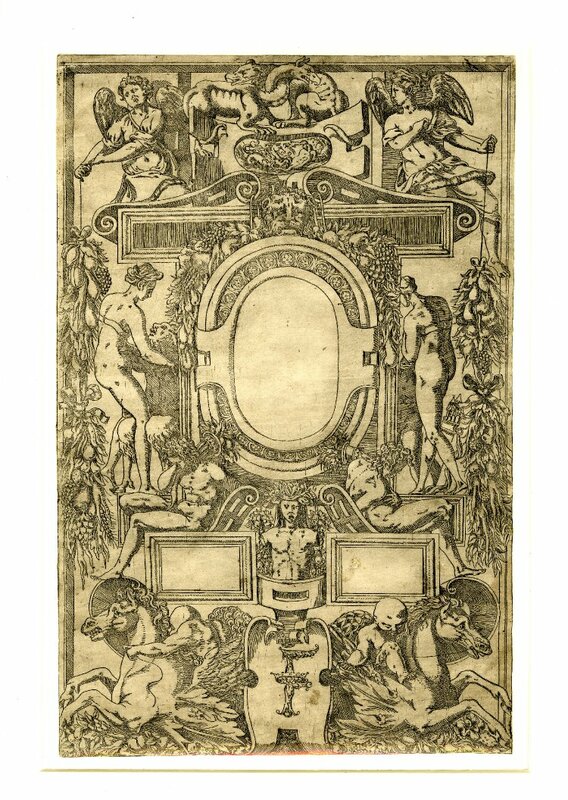 This etching is related to Fantuzzi’s etching (Fig.E.82) that may be derived from a lost drawing by Rosso for his lost decoration of the Small Gallery at Fontainebleau. See also Du Cerceau, E.57,7.